The new Ducati Multistrada 1200 S is an attractive replica of the Multistrada model that has been victorious in the PPIHC. The motorcycle features a sporty design language which combines a dynamic form with smart functions and superior performance. At the heart of the bike is the Testastretta 11° introduced in 2010. The engine is based on the Superbike 1198 engine. Compared to its donor, has lost some power in favour of improved overall smoothness, especially in the mid-range. The front brakes consist of Brembo radial callipers with four 32-mm pistons and 2 pads, radial cylinders with adjustable levers, and two 320-mm discs. At the back, you’ll find a single 245-mm disc, 5-mm thick, gripped by a Brembo calliper with a single 34-mm piston. It’s also worthy of being mentioned that the 2013 Multistrada 1200 comes with standard Bosch 9ME ABS. 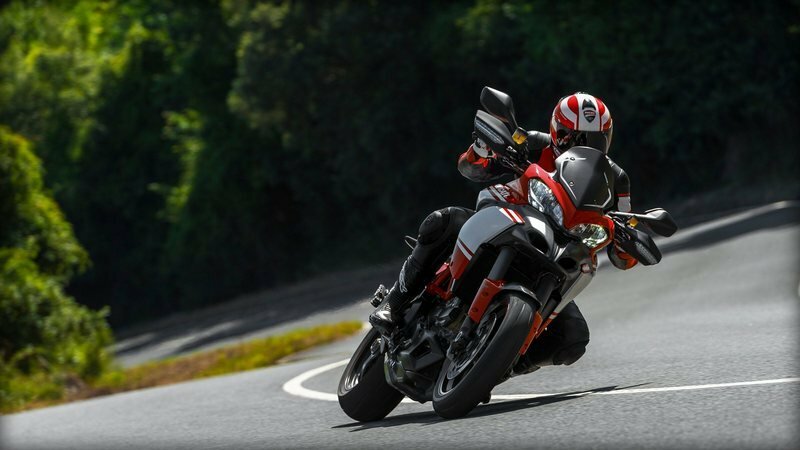 Hit the jump for more information on the Ducati Multistrada 1200 S Pikes Peak. The Pikes Peak Special Edition is a faithful replica of the Multistrada that has been victorious in the prestigious PPIHC three years running. Based on the S version, it includes all the elements typical of Ducati’s sporting tradition: Marchesini 3-spoke wheels, Termignoni exhaust and gritty carbon fibre accessories. At Ducati, design is much more than creating an aesthetically pleasing look. Design is about combining exciting form, smart function and superior performance. 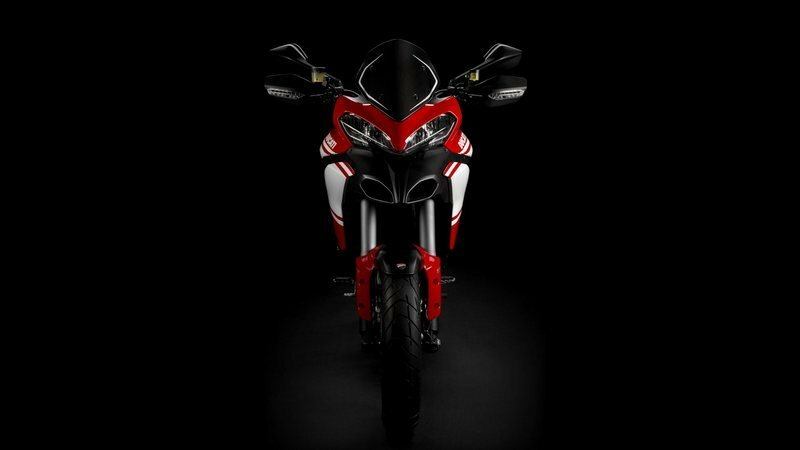 On the Multistrada 1200, the most telling example of this design concept is the simple, yet innovative exhaust. Both main manifolds end up straight into the single 3-chamber silencer, which acts as a 2-1-2 collector box and accommodates cat converter and sound-deadening material. The two compact, light aluminium alloy tail pipes exit the silencer and are positioned low to the side to keep noise and heat away from the passenger. Ducati’s four-bikes-in-one concept is achieved by selecting from a choice of four pre-set Riding Modes programmed to instantly change the engine character and the riding parameters of the Multistrada 1200 - even while riding. The four modes are made possible by combining a number of class-leading technologies. An electronic Ride-by-Wire (RbW) system administers different mappings to regulate power delivery by interpreting the rider’s throttle input, while the world-beating Ducati Traction Control system (DTC) uses eight levels of system interaction to enhance control by reducing wheel-spin. For 2013, ABS is also programmed to offer the optimum setting appropriate to the Riding Mode selected and, for the ‘S’ versions, Sachs electronic suspension front and rear not only configures the suspension set-up with Riding Mode appropriate electronic adjustment, but Ducati Skyhook Suspension (DSS) now also instantly reacts to additional inputs to maintain overall vehicle composure for a smoother ride. Sport Riding Mode The Sport Riding Mode provides the rider with an adrenalin-fuelled 150hp ride with a sport-oriented throttle response and, on the ‘S’ versions, an instant high performance suspension set-up with DSS reconfigured to provide appropriate active management in this mode. In character with its Superbike heritage, the sport mode also changes the DTC system intervention to level four for expert riders and ABS to level two for a performance-oriented interaction with combined front/rear function slightly reduced and "lift-up" detection deactivated for those whose ‘comfort zone’ is a little closer to the limit. As an urban environment often requires an even more user-friendly motorcycle, the Urban Riding Mode instantly transforms the Multistrada 1200 into the most manageable, everyday transport. Power output is reduced to 100hp, and the suspension, on the ‘S’ versions, to a setting perfect for tackling the maze of city streets full of speed bumps and drain covers. Once again, DSS is also reconfigured to provide appropriate active management in this demanding environment. DTC is further enhanced to level six to provide high system intervention during the most chaotic of stop-start traffic and ABS to a city-oriented level three interaction for maximum confidence with "lift-up" detection active and combined braking optimised. and ABS to an off-road-oriented level one interaction for a low-grip terrain appropriate setting with "lift-up" detection deactivated and rear wheel ABS partially interrupted for controlled rear end drifting." 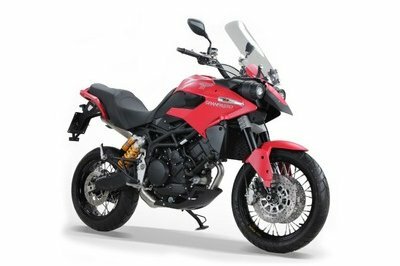 The range-topping ’S’ versions of the Multistrada 1200 feature the innovative DSS (Ducati Skyhook Suspension) active suspension system and come with different equipment depending on specific usage. 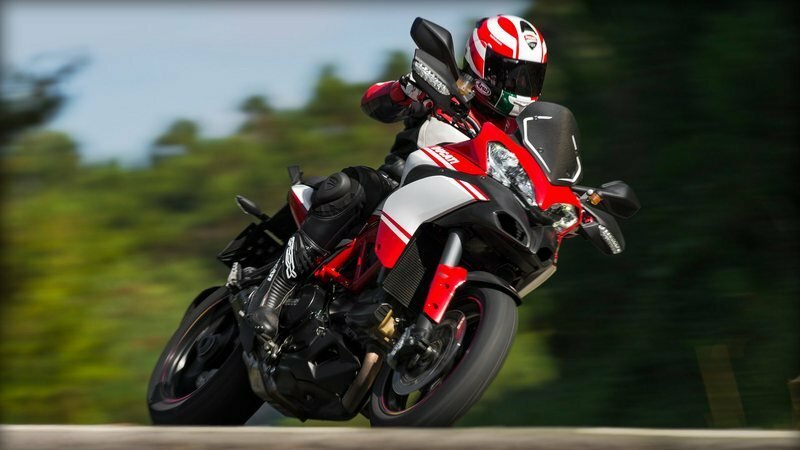 There are three configurations available: S Touring, S Pikes Peak and S Granturismo. The S Touring is ideal for those who wish to travel in comfort and style, with spacious 58-litre side panniers, centre stand and heated grips. The S Pikes Peak is the replica of the racing bike that won the Pikes Peak International Hill Climb race, giving evidence of its amazing versatility on all terrains and confirming how the Multistrada shares the same racing DNA of all Ducati models. The S Granturismo is the top-class tourer in the range. Derived from the Multistrada 1200 S Touring, the S Granturismo features a complete range of accessories to emphasise its long-range road touring vocation. The Touring Riding Mode is also programmed to produce 150hp, however, the power characteristics are designed in a touring configuration with a smoother, more user-friendly delivery. Active safety is enhanced by increasing DTC system intervention to level five, specifically intended for an enjoyable and relaxing ride and ABS to a touring-oriented level three interaction for maximum confidence with "lift-up" detection active and combined braking optimised. On the ‘S’ versions, the suspension automatically dials-in a set-up ideal for long distance touring, ensuring maximum comfort for both the rider and passenger and DSS again reconfigured to provide appropriate active management, even considering the amount of load onboard preprogrammed into the system by the rider. The wet clutch of the Multistrada 1200 provides a lighter feel at the lever, ensuring great comfort even when the rider needs to shift gears frequently. The system features an anti-hop function for guaranteed stability under hard braking. 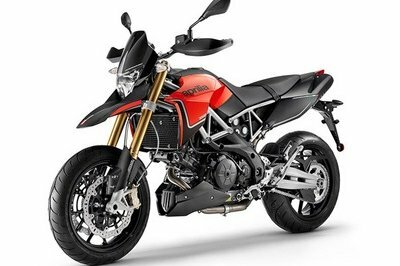 - * The structural characteristics of the new second-generation Testastretta 11° DS engine combined with Ride-By-Wire technology made it possible to achieve four bikes in one. - * Each Riding Mode has a pre-set engine mapping, but can be adjusted and customised to suit rider needs. 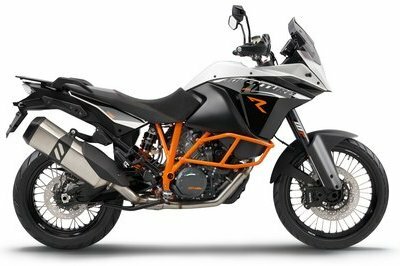 - * For instance, a rider may change the progressive 150 hp output pre-set for the Touring Riding Mode to the sporty 150 hp or the 100 hp output. Weight reduction is a priority consideration also in the design of the new second-generation Testastretta 11° DS engine. Crankcases are vacuum-die-cast using the Vacural® technology, ensuring maximum weight reduction, homogeneous wall thickness, and increased mechanical strength. Gearbox and final drive ratio have been designed for fuel efficiency and increased comfort with less vibration. The motorcycle is very capable on unpaved country roads and compact off-road terrain. Off-road capability is ensured by long suspension travel and low weight and a robust, effective structural aluminium sump guard that protects the oil sump when riding over bumpy terrain. The new Multistrada 1200 has been designed for long-distance riding in all four Riding Modes. This is one of the reasons why cutting maintenance costs and time was a priority goal of the engineering project. Careful engineering and top-quality materials achieved amazing results. For example, valve clearances are adjusted every 24,000 km, twice the mileage as the Testastretta Evoluzione, with great benefits for owners. This was made possible also by the improved combustion efficiency and lower operating temperatures of the new Testastretta 11° DS engine. The instrument panel includes a service reminder just in case sheer riding pleasure makes the rider forgetful of anything else. The Testastretta 11° engine was introduced on the Multistrada 1200 in 2010. Derived from the Superbike 1198 engine, it achieved brilliant results when valve overlap was reduced from 41° (typical of sport engines) to 11°, losing some peak power in favour of improved overall smoothness, especially in the mid-range. The new Multistrada family introduces the second generation of Testastretta 11° DS engines with several new features that make it even smoother and more tractable. Dual Spark ignition (DS) uses two plugs per cylinder to ensure complete combustion in very short time. The fuel injectors have been relocated to aim the jet of fuel directly at the hotter rear end of the suction valve, so that all fuel is atomised. 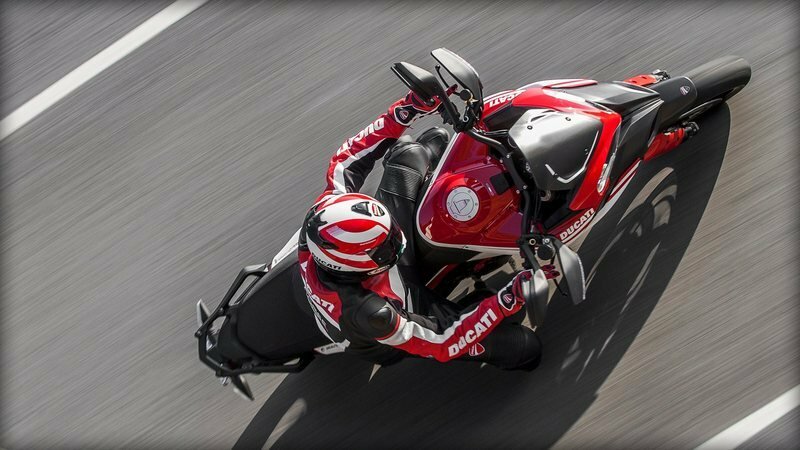 A secondary air system similar to that of the 1199 Panigale has been introduced to optimise operation and reduce cyclic combustion variability without affecting emissions. A controlled flow of fresh air is supplied to the exhaust duct to enable complete oxidisation of hot unburnt gases, to effectively reduce hydrocarbon and carbon monoxide levels. With 150 hp power, 12.7 Kgm (124.5 Nm) torque and 10% less consumption (at 90 kph), the Testastretta 11° DS engine sets a new benchmark for Ducati twin-cylinder engines. The front brake features Brembo radial callipers with four 32-mm pistons and 2 pads, radial cylinders with adjustable levers, and two 320-mm discs. The rear brake uses a single 245-mm disc, 5-mm thick, gripped by a Brembo calliper with a single 34-mm piston. These components ensure benchmark-setting braking performance in the segment, as is typical with all Ducatis. The new Multistrada 1200 comes standard with the new latest-generation Bosch 9ME ABS, for confident, effective braking under any grip conditions. The ABS can be switched off from the instrument panel and is switched on automatically upon next key-on. 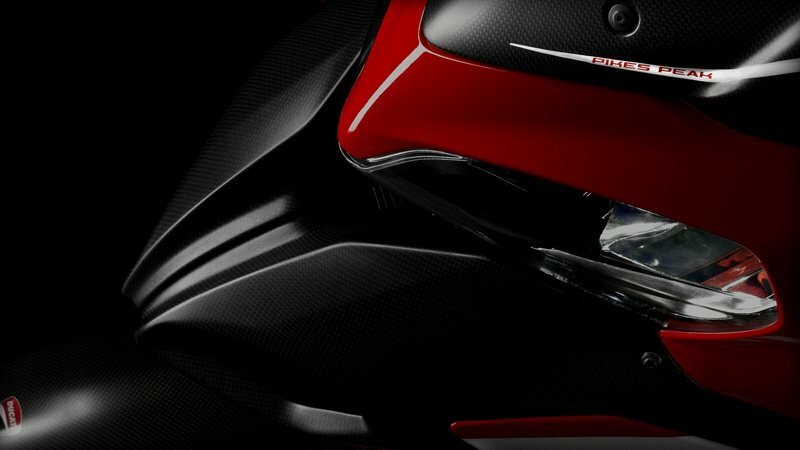 The single-sided swinging arm is maybe the most elegant, yet complex mechanical component of the new Multistrada 1200. It is chill-cast in a single piece with four bonded cores for a sleeker inboard contour, machined and paint finished. The result is a beautifully sculpted, functional component that enhances the stylish design of the Multistrada 1200 and ensures superior roadworthiness. The frame features a trellis design up front with large-diameter thin-wall tubing, two central cast plates and two rear side elements made from welded tubing, closed by a rear load-bearing component made from fibreglass reinforced engineering plastics. With long distance touring ability ranking among its distinctive features, the Multistrada 1200 underwent an extensive ergonomic study using CAD and prototype testing to ensure superior comfort for rider and passenger, also when carrying a full load. Rider and passenger triangles have been designed to offer the utmost comfort and fit. There is ample space for riding two up with top case and side panniers installed. To further enhance its "multi-purpose" vocation, the Multistrada 1200’s ergonomics were designed and tested to make it easy to ride standing up, a significant benefit when riding on bumpy terrain. The current Multistrada 1200 ’S’ versions are equipped with 48-mm front fork and Sachs rear monoshock, both integrated with the Ducati Skyhook Suspension (DSS) system. In addition to providing compression and rebound damping and rear suspension spring preload adjustment - either automatic adjustment integrated with the Riding Modes or customised through the on-board computer - the system is characterised by semi-active suspension adjusted continually to ensure perfect vehicle balance, so that the bike seems to run off the ground, gliding in the air. Suspension travel is longer (170 mm front and rear) than is typical for road bikes. This makes for a comfort ride even when carrying a full load and allows to tackle off-road terrain in full safety. On the ’S’ versions, comfort is further enhanced by a DSS function that enables the rider to change setup conveniently and quickly to suit load conditions and type of trip: riding solo, rider and luggage, riding two-up or two-up with luggage. Weight reduction is a priority consideration in the design of all Ducati motorcycles. Weight is indeed the primary consideration when you want to get the best riding performance and safety out of a vehicle. Other conditions being equal, a lighter bike will provide shorter braking distance, faster acceleration and require less steering effort. 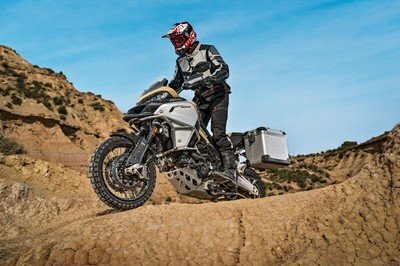 This is why each and every component has an essential design in which shape is dictated by function, obviously without compromising on strength and the load capacity of the motorcycle As a result, the Multistrada 1200 weighs in at 194 kg (S Pikes Peak version), and is the lightest road enduro, touring or sport touring bike in its market segment ever. The Multistrada 1200 seat provides an instant feeling of comfort and stirs up your desire to ride. Two independent seats for rider and passenger, designed with great attention to shape and foam density, ensure excellent comfort also on long trips and excellent ground reach. The passenger grab handle is ideally positioned with respect to seat top to provide ample grip space, good grip and an ergonomic position. The new Pikes Peak edition is equipped with a sporty-looking dual-material rider and passenger seat with contrast stitching. 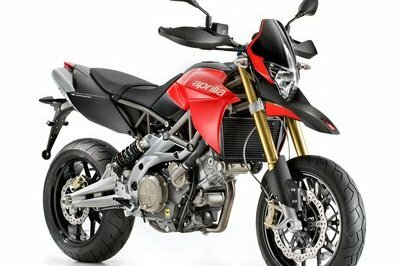 Pirelli has been involved in the project since its inception as a technical partner and co-designed the Pirelli Scorpion Trail tires specifically for the ""4 bikes in 1"" concept for the first Multistrada 1200. The Pirelli Scorpion Trail was the first on/off-road tyre in the 190/55 size capable of ensuring unrivalled performance thanks also to a special tread pattern in which grooves do not extend to the outer edge, offering improved stability, steep lean angles worthy of a true sports bike and the mileage you would expect of a tourer. The new Multistrada 1200 is equipped with a rear tyre that uses a new compound with latest-generation components and ensures maximum traction under all weather conditions, a well as the ideal balance between effective performance and mileage. The result is a new-generation sport off-road tyre that matches the multi-purpose concept of the bike perfectly. An integral part of the Ducati Safety Pack (DSP), the Ducati Traction Control system can be adjusted to eight levels (four of which are integrated in the Riding Modes). It processes the inputs from the wheel speed sensors to control rear wheel slip, significantly improving performance and active safety. 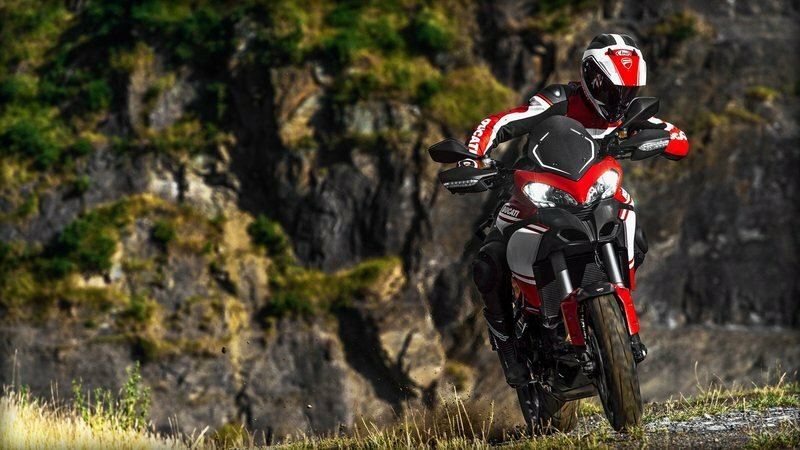 The system installed on the new Multistrada 1200 is re-tuned for a smoother intervention of the system, which now gives a higher priority to ignition delay. In case of wheel-spin, the system reacts by delaying the ignition, up to a 60% torque reduction request. For higher torque reduction requests the injection is cut off. Each pre-set DTC level associated with the different Riding Modes can be customised by the rider and stored from the setup menu. The new Multistrada 1200 S Pikes Peak boasts 3-spoke Marchesini wheel rims with the same sporty design as the S version of the 1199 Panigale. Forged and machine-finished, these wheels provide 2.7 Kg unsprung weight reduction. The wheel rims sport a black finish and red accents reminiscent of Ducati’s racing tradition. The Multistrada 1200 has two 12 V power outlets, one on each side just below the rider’s seat. They supply loads up to a total of 8 A (fused capacity), including heated riding gear, intercom or mobile battery chargers. The GARMIN navigator is supplied by a suitable connector in the front section of the panel. The new Multistrada 1200 family is equipped with the latest Bosch 9ME ABS, an integral part of the Ducati Safety Pack. This unrivalled combination of safety and braking power provides shorter stopping distances and greater stability under braking. Three different settings integrated in the Riding Modes are available. Thanks to the same processor used to control the ABS on the Superbike 1199 Panigale, the new Multistrada 1200 now offers combined front and rear braking optimised for the Urban and Touring Riding Modes, which instantly adjusts to the riding conditions typically associated with the Sport and Enduro Riding Modes when a softer setup is preferable. The combined braking system uses four pressure sensors (located in the master cylinders and in the braking circuits of front and rear callipers) to analyse braking performance whenever the front brake is operated and applies controlled braking pressure at the rear end to increase stability. In certain Riding Modes, the 9ME ABS also performs an anti-lift up function to guarantee optimal ground contact of the rear wheel. The system integrates perfectly with the Riding Modes and has three operation levels. Level 2, for the Sport Riding Mode, ensures balanced front and rear braking, with less braking force at the rear and without rear wheel lift detection. Level 3 offers ideal combined braking in the Touring and Urban Modes, with rear wheel lift detection for the utmost safety. Level 1 provides the utmost off-road performance, and rear wheel lift detection is disabled to allow for controlled rear-wheel lock-up. Riders who wish to try out unassisted braking performance can disable the ABS from the instrument panel menu. The ABS will remain disabled at the next key-on and this setting can be stored for each Riding Mode. 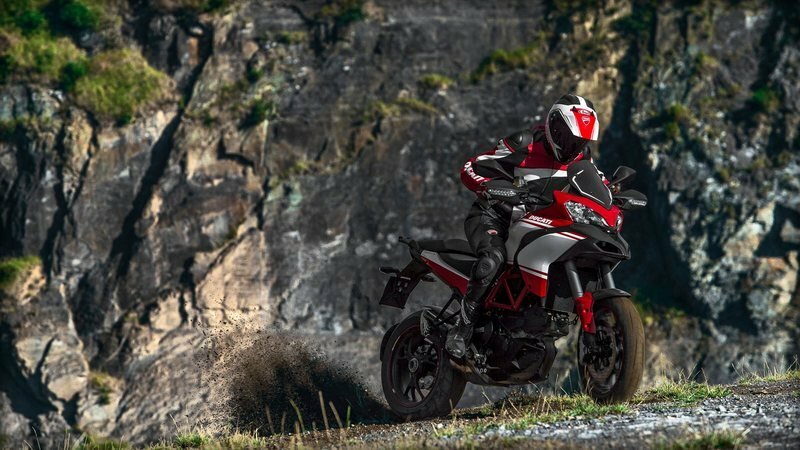 The Ducati Safety Pack (DSP) is offered standard throughout the new Multistrada 1200 range, giving evidence of how Ducati gives top priority to road safety. Designed to achieve superior control and active safety, the DSP includes Brembo’s state-of-the-art 9ME ABS with three mappings and Ducati Traction Control (DTC) with eight operation levels. The on-board computer consists of two sections: a large high-visibility LCD with key indications and a round dot-matrix LCD that displays different functions depending on whether the bike is stationary or moving. During operation, the on-board computer communicates continually with the other ECUs of the vehicle over a data communication line so that the customer is informed of any malfunctions and/or system problems (battery state, alarms, errors, etc.) in real time. The new Multistrada 1200 is equipped with a larger windscreen (18 mm taller and 43 mm wider) to offer superior wind protection. Windscreen height can be adjusted within a 60 mm range through a mechanism designed for easy single-hand operation even with the gloves on. The new Multistrada 1200’s headlights feature redesigned style and function, with ample use of LED technology. The LED low beams can be turned on at the same time as the conventional high beams and significantly improve visibility and night vision. The new Multistrada models also sport restyled LED parking lights and hazard lights, which are turned on by keeping the left turn indicator button pressed for three seconds. The Multistrada 1200 ’S’ versions are equipped with 48-mm front fork and Sachs rear monoshock, both integrated with the Ducati Skyhook Suspension (DSS) system. This system is characterised by active suspension control, that automatically and continually adjusts damping to maintain a steady attitude regardless of road conditions, reduce the amount of vibration transferred to rider and passenger, and significantly improves riding comfort and stability. The name ""Skyhook"" describes the feel of the bike, which seems to be hooked up to the sky and immune to bumpy terrain. The DSS system processes the inputs from a number of sensors (vertical accelerometers) located on sprung and unsprung components instantly and adjusts compression and rebound damping according to selected Riding Mode so as to minimise the vertical motion caused by the road and maximise riding comfort and stability. In addition to controlling vertical motion on bumpy terrain, the DSS uses the inputs from the Ride-by-Wire system and the pressure sensors of the ABS to adjust damping continually so as to minimise load transfers during transition from braking to acceleration and deceleration, with great benefits in terms of dynamic performance. Rear suspension spring preload adjustment is integrated with the Riding Modes. The system enables the rider to select the different Riding Modes (Sport, Touring, Urban and Enduro), and to change setup conveniently and quickly to suit load conditions and type of trip: riding solo, rider and luggage, riding two-up or two-up with luggage. The DSS recognises customised settings and re-tunes accordingly before starting interaction. The Multistrada 1200 is actuated without a mechanical key. As the rider approaches the bike with the electronic key in his pocket, the system will recognise the key code within a 2-metre range and enable actuation. At this point, a simple press of the key-on button will switch on the panel, and then the rider can start the engine. The steering lock is electrically actuated. When parking the bike, it can be actuated by pressing the key-on button. The steering lock is released automatically at the next key-on. The new Multistrada 1200 has been designed with the needs of customers with a dynamic lifestyle who appreciate the quality of detail. This is why is offers two storage compartments. The new Multistrada 1200 features a larger glove compartment with push-push lid up front in the right panel and a roomy (over 3-litre capacity) storage compartment under the passenger seat to store tool kit, owner’s manual or other personal belongings. REAR SUSPENSION Electronic compression & rebound damping adjustment. Electronic spring pre-load adjustment with DSS Aluminium single-sided swingarm. INSTRUMENTATION Multifunction digital dashboard of two displays with white backlight. Main LCD display: odometer (total, trip 1 and trip2), speedometer, rev counter, clock, gear indicator, coolant temperature; fuel level. Circular LCD dot-matrix display: trip computer (riding style set-up, active riding parameters, remaining fuel/distance, current fuel consumption, average fuel consumption, average speed, air temperature, trip time), maintenance intervals indicator (Km), signaling alarms and errors detection (diagnosis), setup menu and customization functions. Interface for the management of Riding Modes (control power curve and throttle response, traction control, ABS, DSS). "Parking" and "Steering lock" indicators. Activation and adjustment heated-grips control function (Touring and Granturismo versions only). Lights: oil pressure, neutral N, fuel warning, turn signal, EOBD (diagnosis), high beam, DTC intervention (Traction Control) and deterrent immobilizer (in Key-Off). Headlight control: auto switching-off during engine start, auto turning-off after 60 seconds from Key-On without starting the engine. The key management of the various function menus are integrated in the left and right switch controls. STANDARD EQUIPMENT DSS Ducati Skyhook Suspension,DSP Ducati Safety Pack ( ABS 9ME + DTC),Riding modes, Power modes, RbW, forged wheels by Marchesini, Termignoni carbon fibre silencer (EU) Carbon fibre: screen, front mudguard, rear hugger, cambelt covers. Visordown ---- "The annual ‘Race to the Clouds’ is held in the Rocky Mountains, Colorado and tests riders and equipment to the extreme with a 1,438m climb in altitude over the 20km course of asphalt, dirt and loose gravel. Sheer drops and no barriers keep the mind focused and should you wish to test the Multistrada’s 4 computer controlled riding modes, then Pikes Peak is the place to do it." Motorcyclenews ---- "The Mutlistrada’s new outfit now makes it as good to look at as it is to ride. The Ducati really does excel in all areas. I’ve been shopping on it, down the motorway and taken the back roads to work every day and it’s phenomenal. It’s comfy and relaxing when you want it to be, but rapid when you’re in the mood too." Asphaltandrubber ---- "Aside from the new paint job, the only other thing that catches our eye is the solid carbon fiber windscreen, which may or may not be a Ducati Performance part add-on. We’ll have to wait until November to see what Ducati has in store for the MTS1200 S Pikes Peak edition, but considering the first batch of model sold out, a revamp to the line isn’t all that surprising."